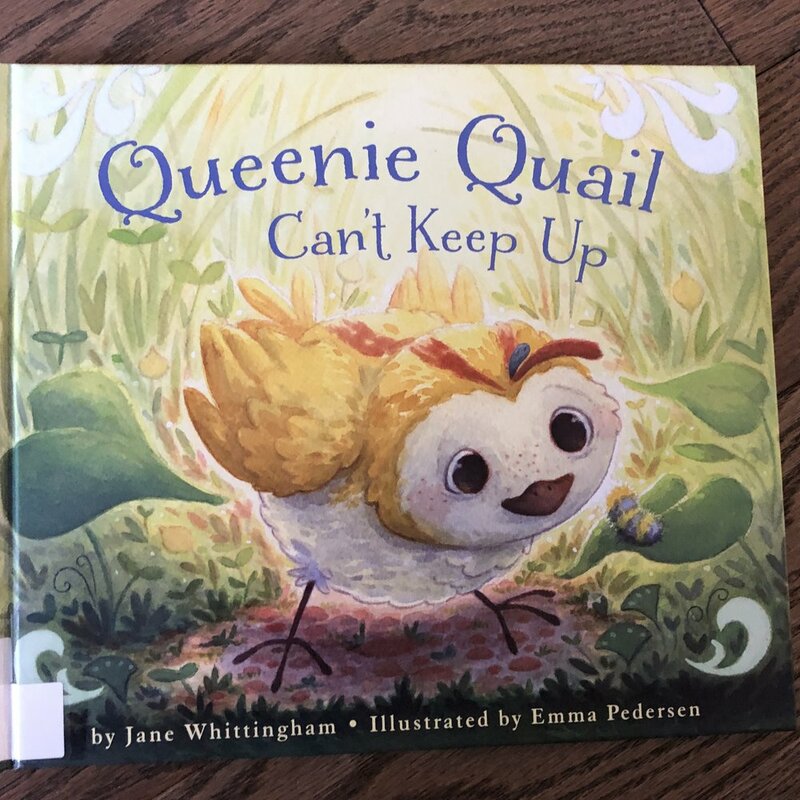 Hurry, hurry, hurry and grab a copy of the gorgeous Queenin Quail Can’t Keep Up by Jane Whittingham and Emma Pedersen. The whole quail family is always in a rush, they hurry, hurry, hurry but Queenie just can’t keep up. There are too many interesting things in the forest for Queenie to observe and ponder. Thank goodness Queenie is an observer as she comes to the aid of her family just when they need her most. Queenie Quail Can’t Keep Up makes a fantastic read aloud. Your listeners will want to join in on all the repetitious parts of the story, the hurry, hurry, hurry and the tap, tap, tap. The story is engaging and fun and so impeccably illustrated. Emma Pedersen’s illustrations just scream Spring! You will want to have this book on your springtime bookshelves and interest tables. The beautiful plumage of the quails is just so irresistible, you will be drawn to this book time and time again. We all get stuck in the rush and hustle of life. It’s so nice to have a reminder to slow down and take some time to sniff the flowers and watch the wiggly worms, especially in the Spring.